Marijuana edibles are the new commodity in the medical marijuana world. Marijuana is being added to more and more food for medicinal purposes. Those that do not want to smoke in order to get the benefits of weed can now eat it in a variety of foods. Although this may seem like it is a new trend, cannabis has been eaten for as long as it has been smoked. Recently new recipes and techniques have been used to make it even more edible. There is a difference in the way medical marijuana reacts when it’s being eaten instead of inhaled. When marijuana is smoked the effect is almost immediate since it goes directly to your lungs and into your bloodstream. You are going to feel the intensity of the quality and amount of marijuana very quickly. However, when you eat marijuana edibles you have to digest the substance before you are going to feel it. It can take from twenty minutes up to an hour before you will feel the full effects. The result last longer and feels stronger. This is good news for those that want to make their medical marijuana last and help them feel much better with a strong effect. Not to mention that you may not be able to smoke a joint in some places verses being able to eat an edible anywhere. There are many factors that can affect the consumption of marijuana, however. You must keep in mind the metabolism of a patient, the dosage of marijuana in the edible, tolerance to marijuana, and the vast spectrum of medicinal effects. For the majority there is a physically sedative feeling that is delayed yet stronger than the effects of smoking. It seems that the amount of cannabis used is more the key to this than the particular type of cannabis. More concentrates such as oil are being produced that contain cannabis. There are several types of marijuana edibles. Most of the edibles produced are baked goods. The typical brownie is a good example. They all consist of a base of cannabis infused butter. The taste can be somewhat overwhelming for some if it is not infused well then a cannabis butter can be very strong tasting and unpleasant for people that do not like the flavor itself. There are many options for the type of edibles you can purchase. You should keep in mind that some of the food may not be good for you if you are diabetic, for example, and trying to get your daily intake of cannabis via a brownie. You still need to pick foods that are healthy for you and your daily diet. Allergies are another factor that you need to keep in mind. Over the years distributors of marijuana edibles have kept in mind the dietary needs of patients. You can now find edibles that are vegan, dairy free and gluten free. There is the possibility of you learning to make your own edibles by using cannabis butter. This can be less expensive and give you more control over the exact dosage and flavor. More on marijuana edibles; check these recipes. There are several types of marijuana edibles. Most of the edibles produced are baked goods. The typical brownie is a good example. They all consist of a base of cannabis-infused butter. The taste can be somewhat overwhelming for some if it is not infused well, as the cannabis butter can be very strong tasting and unpleasant for people that do not like the flavor of weed. There are many options in terms of the type of edibles you can purchase. You should keep in mind that some of the food may not be good for you. 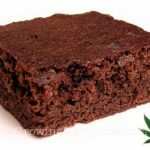 If you are diabetic, for example, trying to get your daily intake of cannabis via a brownie is not a good idea. You still need to pick foods that are healthy for you and your daily diet. Allergies are another factor to consider. Thankfully over the years, distributors of marijuana edibles have considered the dietary needs of patients. You can now find edibles that are vegan, dairy free and gluten free. You can even make your own edibles by using cannabis butter. This can be less expensive and give you more control over the exact dosage and flavor. For more on marijuana edibles; check out these recipes. As mentioned above, consuming edibles is an entirely different experience than smoking or vaporizing them. If you consume too much, it can produce a very uncomfortable high. So, the first rule to remember is dose correctly. Always read the labels on prepared cannabis edibles. Do not take more than the recommended amount if it is your first time. Most people agree that 5mg is a safe starting dose, but some products come in 10mg or 20g servings. You will need to read the labels to make sure you don’t consume too much. If your edible is homemade, start small, wait an hour, then proceed with caution. It takes your body at least 30 minutes (and sometimes longer) to feel the effects. Do not consume edibles on an empty stomach if it’s your first time. Speaking of effects, plan on staying high for a few hours. Edibles can easily ‘last’ for hours, and a typical dose can last up to six. Overindulgence, however, can last for days. Typical signs of overindulgence include anxiety, paranoia and the feeling that you are going to die. You won’t. Try doing something different or chewing on some black peppercorns to calm down. (It works well to counteract THC.) You can also try taking a nap. Enjoyed the article? Would you start growing yourself? We sell the finest marijuana strains from Amsterdam, and ship them worldwide for free. You can buy marijuana seeds in our marijuana seed shop. By How Long Does THC Stay In Your Body?